ESSNA is an established pan-European trade association which represents the responsible voice of the sports nutrition industry in Europe. 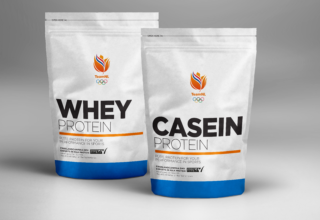 It was initially set up to campaign for appropriate and proportionate European legislation on sports nutrition products, and approached Whitehouse to create a forum for discussion and a vehicle for actions on the concerns of the specialist sports nutrition sector. The Whitehouse team recognised that to achieve its objectives ESSNA had to build its profile, work to improve the reputation of a still contentious sector and increase consumer trust, ultimately multiplying opportunities for dialogue with policymakers and improving business prospects for its members. In 2013, Whitehouse launched an extensive issues-led integrated communications campaign on behalf of the association. This included proactive media engagement to highlight ESSNA’s work and priorities publicly and build support and third-party advocates for its position; a robust reputation building and management campaign that allowed the trade association to grow and represent the majority of the responsible faction of the sports nutrition industry, making the case for responsible sports nutrition; reactive media engagement in commentary on all industry updates to continually manage its reputation; a consumer-facing multi-platform multimedia campaign educating the public about sports nutrition; and an extensive programme of B2B events to raise awareness of its activities and increase its membership. ESSNA has evolved dramatically as a result of its work with Whitehouse. It has successfully stopped the legislation threatening the industry’s innovation and is now consulted extensively by authorities and policymakers on all relevant European laws affecting the industry. Membership has more than quadrupled since inception, and today ESSNA has approximately 50 members, ranging from small and medium size enterprises to large multinationals with global reach, including specialist brands, sports nutrition retailers, suppliers of ingredients, and companies representing multi sports nutrition brands across the EU, all of who are able to display its European trademark. Whitehouse’s public relations engagement has positioned ESSNA as the unparalleled industry expert, allowing it to establish conversations with political, media and public stakeholders to combat lingering perceptions about the industry through sharing accurate information, correcting common misconceptions and highlighting the significant benefits of sports supplements if taken properly. Whitehouse has helped ESSNA move beyond its remit as a trade association and as a result, it has won two prestigious industry awards, secured lucrative event partnerships that delivered the first ever pan-European Sports Nutrition Congress in Europe among others, and increased its overall budget by 400%.